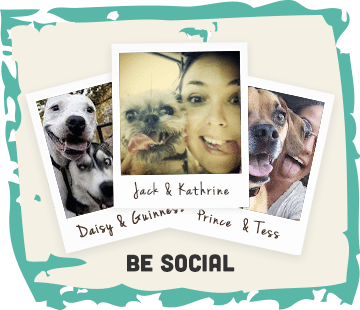 Home / The Buzz / A visit to make your dog’s mouths water! 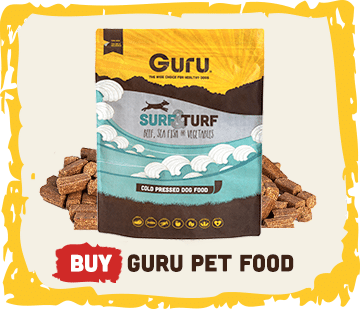 A visit to make your dog’s mouths water! 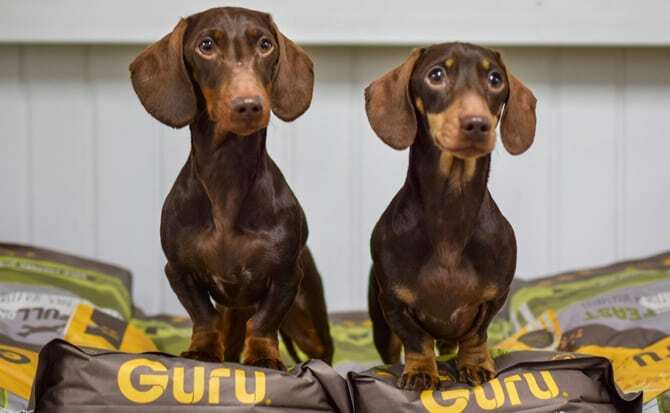 On the way back from our recent holiday with the boys, we were lucky enough to visit Guru HQ and our favourite Geeksters! 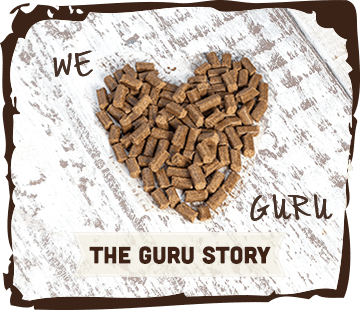 As we mentioned in our previous blog, on the way home from our recent holiday, we thought we would stop in to visit Guru. We had wanted to go and see them for a long time and thought this would be the perfect time. Lisa offered us a tour and before we could accept, the boys were already by the stairs waiting for us! We made our way down to the ‘Packing Room’ where all of the yummy food and treats were stored before heading out to all of the Geeksters! 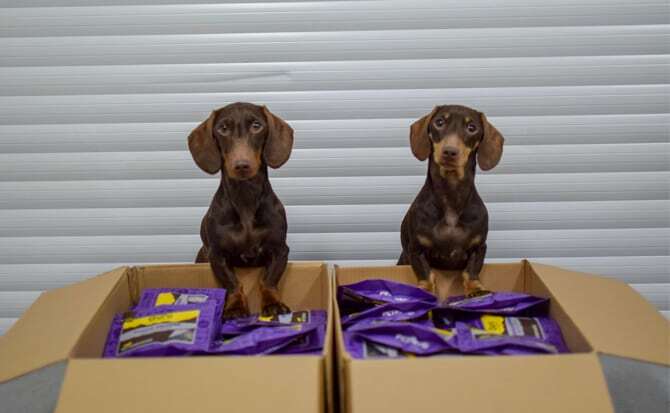 After we had finished taking a few photos, it was time for Jacob & Bruno to earn their treats! 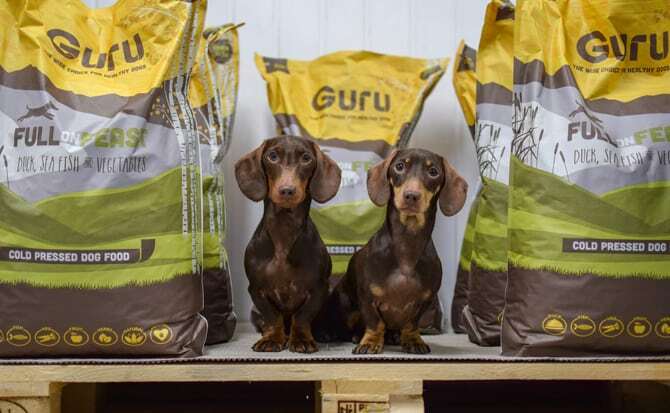 Guru launched their wonderfully yummy Venison Sausage treats last year and the boys absolutely adore them. The boys were given two whole boxes full to help sort out, which they sniffed and sniffed and couldn’t wait any longer to have a few! The treats come in a really handy re-sealable packet, which seals in the goodness. There’s nothing to hide with these treats! They’re also Hypoallergenic! Perfect for Jacob & Bruno. They finished ‘sorting’ the boxes and were on to the next adventure! 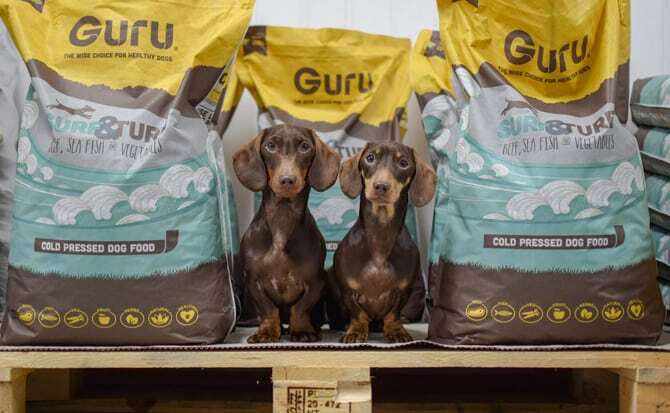 It didn’t take Jacob or Bruno long to sniff out another one of their favourite treats, the famous Guru trip bone. We still had a good few hours until we would be home, so the Guru trip bones come in very handy. They have two sizes of these bones, the ‘road trip’ for the larger dogs and the ‘field trip’ for the smaller dogs like Jacob & Bruno. They’re perfect for long journeys, days out and adventures as they act like a meal on the go. The boys certainly enjoy them! Before we knew it, it was time to head home. What fun we had all had! It was absolutely wonderful to see Lisa and Sam again. We already knew how passionate they are about Guru and going to the heart of it all was lovely. It makes us equally as passionate about the food as they do such a brilliant job. Jacob & Bruno were spoilt rotten and didn’t want to leave and to tell the truth, we could have stayed there for longer too! Before we headed off, Andrew (the other co owner & Lisa’s husband) turned up! We had met Andrew at Dog Fest and it was great to catch up with him too! We are really grateful for the special relationship we have with these guys. We really do urge you to check them out, their food has done wonders for the boys and it’s great to support such a wonderful company!